Looks fantastic! And great job on the budget! Enjoy it and know that it’s a great investment too! What an amazing transformation! 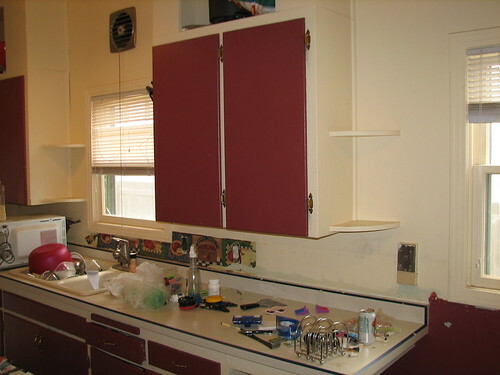 We’re looking to just update our white & yellow Formica countertops and backsplash, and replace the crappy linoleum flooring with our refund. The cabinets might just get new, modern hardware. We’re looking at solid granite counters, too, but our estimate is “only” $1200 for 30 square feet of it (how you spend $100K on granite countertops is beyond me!). I think that’s pretty good for a kitchen. Here in France, people talk about spending 20-30,000 euros to put one in. Great job! Even though I too am radical about getting rid of debt, I agree that this was a justifiable use of your money. With the free expert help from your dad, and knowing that you will get way more than your remodeling expense back when you sell your house, and…just being able to enjoy your beautiful new kitchen, this was money well spent. As I look at the photos, I am very happy for you and your wife. Wow, I cannot believe you were able to do that for less than $3,000. I’m not sure what area you live in, but that will be a great investment if you do decide to sell the house. I think the main trap people fall into with renovations to sell the house is that they then want to get their upgrade’s worth. When you’re talking about $10,000-20,000 that’s a problem for house prices. 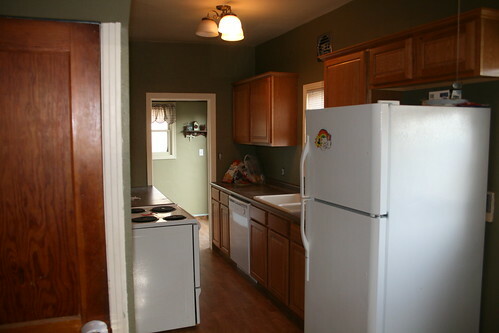 But you’ll easily make your money back *and* have a much nicer kitchen in the meantime. I think it looks really tranquil! Wow, it looks stunning…. Can’t argue with that for $3k….. Like others say, a great investment it seems. The life / debt argument can be argued to death but if you are in control of your finances then sometimes you can deviate a little from a rigid debt killing routine.